Panchkarma is one of the purification therapies of Ayurveda. “Panch” means Five and “Karma” means Actions. Simply translated, panchakarma is a set of five systematic actions used for the purification of the body. 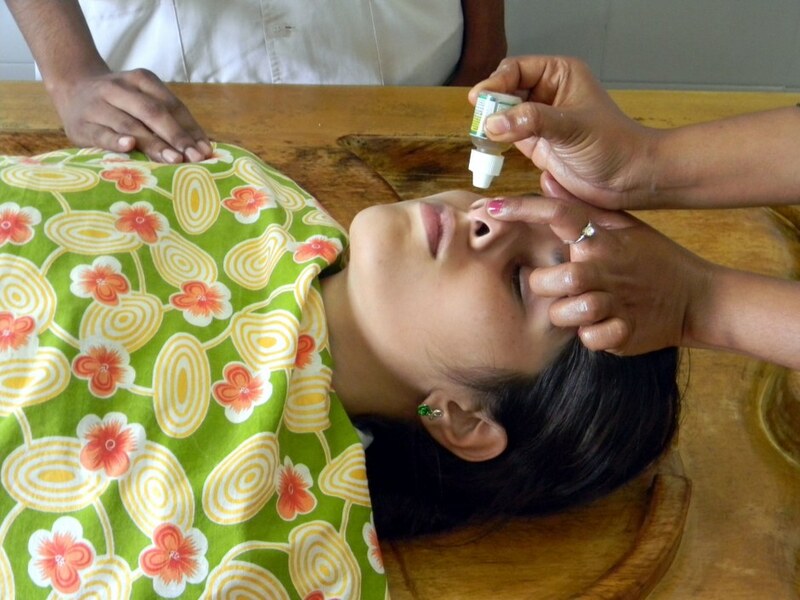 Under Panchakarma therapy, the toxins are eliminated through the process of Vamana (emesis), Virechana (purgation), Basti (enema), Nasya (nasal therapy) and Raktamokshana (letting out the infected blood). Our body is regularly invaded by many toxic elements through various ways and means. They disturb the balance of Doshas (physiological healthy factors) and aggravate them resulting in diseases. In conventional methods of treatment with medicines, treatment is given to treat pathology. The toxins remain dormant and seem to subside, but they reappear again. Thus, the root causes remain hidden. The treatment remains incomplete unless the root causes are eliminated. Panchakarma is considered to be the most radical way to cleanse the body thereby permanently eliminate all the disease causing doshas and the toxins. Vamana (induced/therapeutic vomiting) is administered if lung congestion is causing repeated attacks of bronchitis, colds, cough or asthma. Vamana eliminates the vitiated Kapha, which is causing excess mucus. recommends administration of therapeutic purgation or a therapeutic laxative. although many enemas over a prescribed period are usually required. It relieves constipation, distension, chronic fever, cold, sexual disorders, kidney stones, heart pain, backache, sciatica and other pains in the joints. Many other Vata disorders such as arthritis, rheumatism, gout, muscle spasms and headaches may also be treated with Basti. 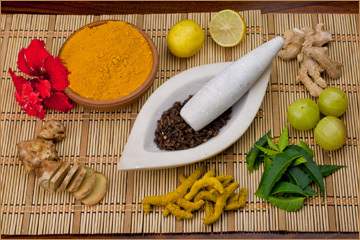 Basti therapy is divided in two main types: Anuvasana Basti – medicated oil enemas and Niruha Basti – medicated enema of decoctions and medicated oils. The nose is the doorway to the brain and the doorway to consciousness. The nasal administration of medication is called Nasya. Excess bodily humours accumulated in the sinus, throat, nose or head areas are eliminated through the openings (nares or nostrils) in the nose. In bloodletting therapy, special kind of leeches are used to eliminate toxins of the skin & blood. This is employed to treat Eczema, Psoriasis, Ulcers, Local Inflammatory Conditions, etc. Indications: It is used for disorders such as repeated attacks of skin disorders like urticaria, rash, eczema, acne, scabies, leucoderma, enlarged liver and spleen, and for gout. Kati Basti: Useful in different backaches. Janu Basti: Useful in arthritis of the knee joint. Greeva Basti: Useful in neck pain and related painful conditions. Nadi Sweda: Useful in pain disorders of different sites. Pinda Sweda: Useful in neurological ailments and in the management of different pains. Shashti-Shali Pindasweda: Useful in neurological ailments. Shirobasti: Useful in hair loss, the falling hair, and other diseases of skull. Uttara Basti: Useful in genitourinary diseases and infertility of female. Udvartana: It is a medicated Ubtan applied over the skin for fair and glowing skin.